What design tools can I use to import slices to Haiku? How can I embed my Haiku once it's done? 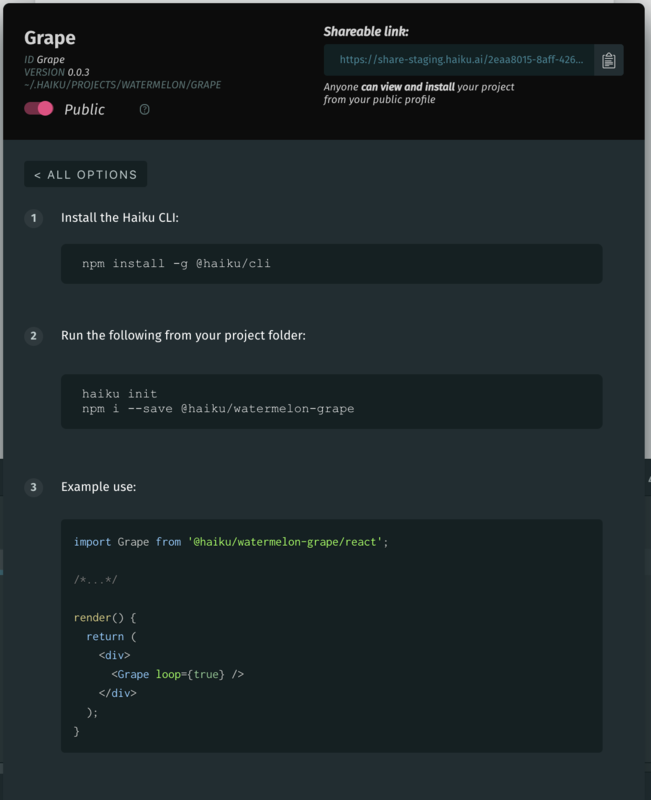 Once your Haiku is ready, you will find instructions on how to embed it in the "Publish" modal.